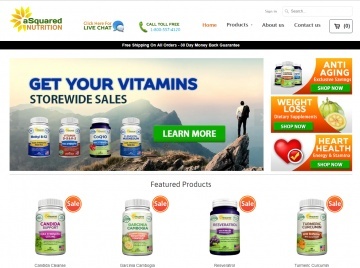 aSquared Nutrition is a prominent seller of high-end nutritional supplements. All the products in their ever-expanding product catalogue are made in the United States in facilities that are FDA-registered and GMP-compliant. Click Start Shopping to earn 6% Cash Back at aSquared Nutrition.